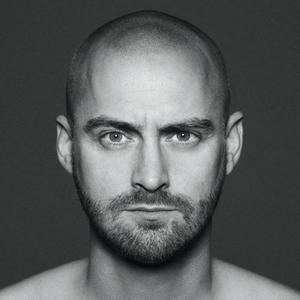 Jokeren is a danish rapper, lyricswriter and actor that was born Jesper Dahl the 13th of June 1973 in Hiller?d, Denmark. When he was twelve he formed the band Madness 4 Real together with Rasmus Berg, Nicholas Kvaran and the later Malk De Koijn-member Bl?s Boogie. Seven years later, in 1992, the band went to Los Angeles, where they produced for artists such as Ice Cube, Easy E and Rakim. After a couple of years in the United States they returned back to Denmark, where they changed the name of the band to "Den Gale Pose", shorten DGP. They got some success in the 90ties mostly for the hit song "Sp?ndt op til Lir" from their second album "S?dan er reglerne". In 2003 Jokeren went solo and released the album "Alpha Han", which included the hit song "Havnen", persueing a chance to become more than merely "Mr. Sp?ndt op til Lir". The album was well received by the public and was critically acclaimed for its lyrics. Later the same year Jokeren published the book "Storby Stodder". In cooperation with Universal Music Jokeren in 2005 begin his own record company by the name Flamingo Records. The idea was that the record label would spot, sign and promote new talents in the music business. The same year Jokeren released his second solo album "Gigolo Jesus", which among other, included the hit "Godt Taget". In 2006 he debuted as an actor in Hella Joof's Danish movie "Fidibus".